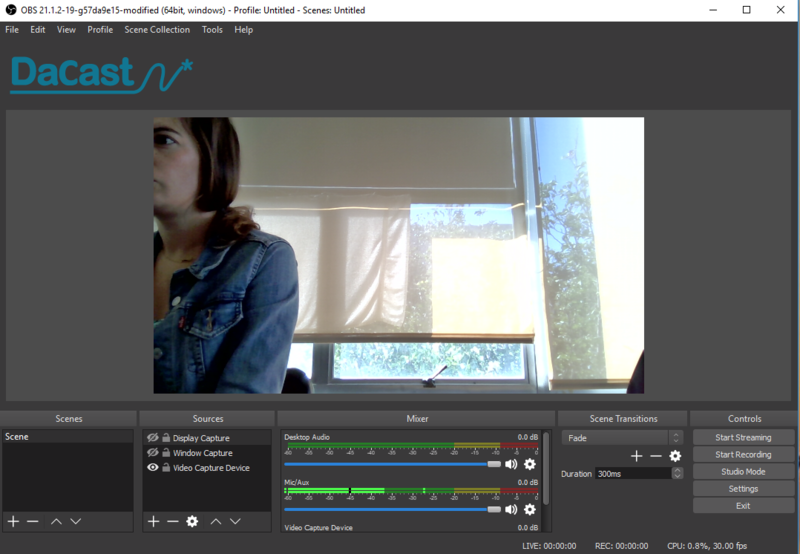 How Do I Stream using the OBS Studio | DaCast encoder on Windows? What is the DaCast version of OBS Studio? We have customized OBS Studio, the most popular, free, open source, live streaming software. 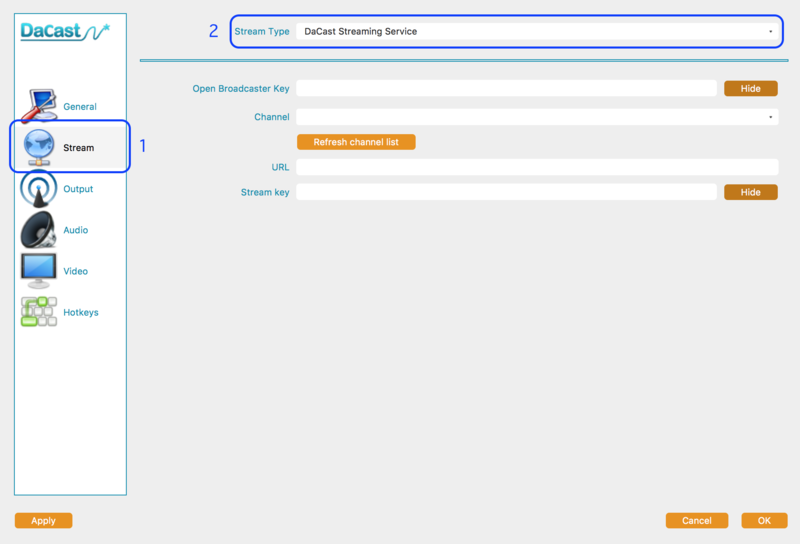 The goal is to simplify the steps to stream live video when using DaCast. 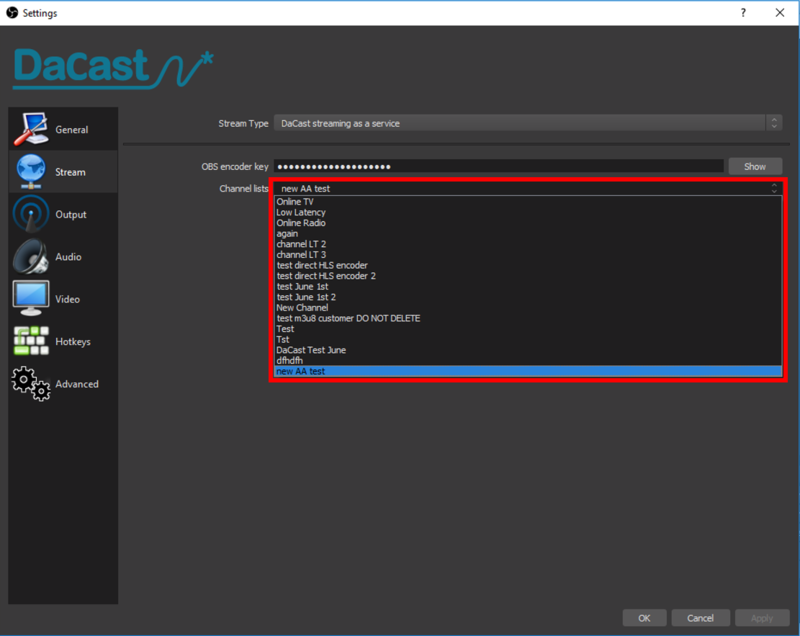 DaCast OBS Studio is available at all plan levels, you can download it for free within the encoder set up tab of your DaCast account. Note that DaCast OBS Studio does not support multi-bitrate streaming (same as the original version of OBS Studio) but soon will! We offer 2 versions of DaCast OBS Studio. 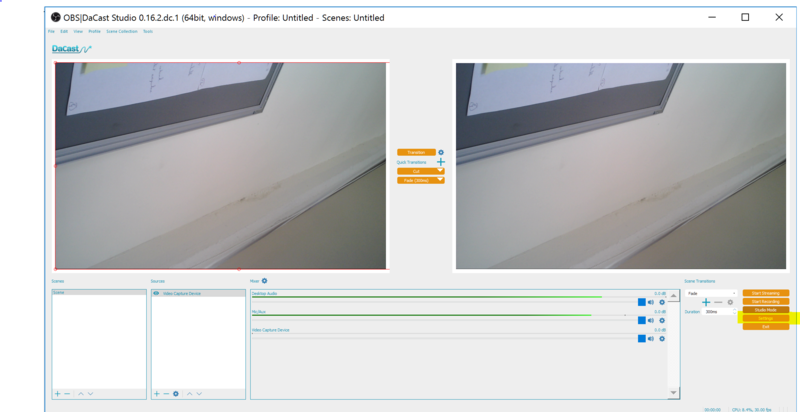 This is the version that has been online for 2 years, supporting RTMP stream ingest like most of the encoders. This version of OBS Studio support Windows 7, 8, 8.1 and is available for free download in your DaCast account. 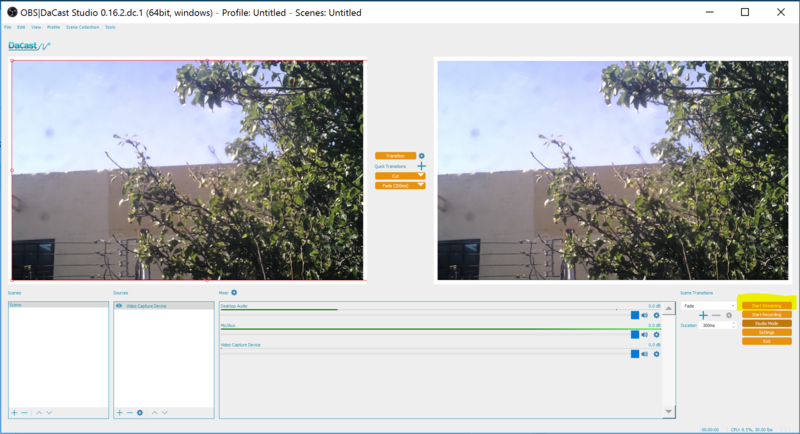 This is the new beta version of DaCast OBS Studio, supporting both RTMP stream ingest and HLS stream ingest for low latency streaming options. This capability makes DaCast new version of OBS Studio the only free direct HLS encoder available on the market. Additionally, this version offers more reliability for low latency streaming and is even easier to set up with pre-defined encoding profiles. 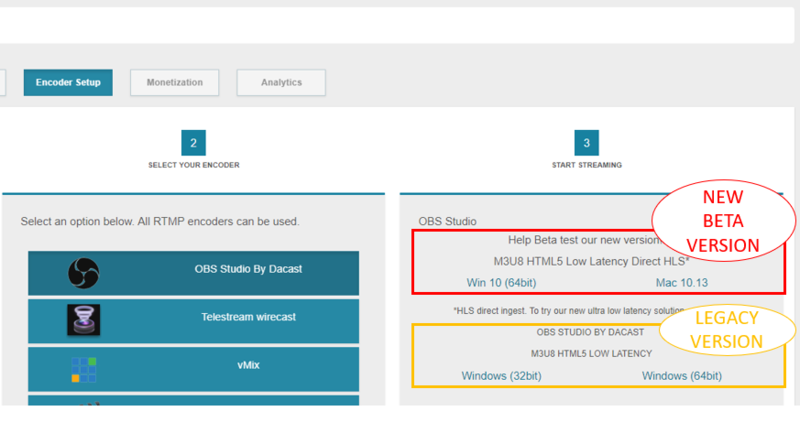 This version of DaCast OBS Studio and its HLS stream ingest capability are available for all our customers in beta. Note that customers who do not have access to our current low latency streaming options will be added to our waiting list. 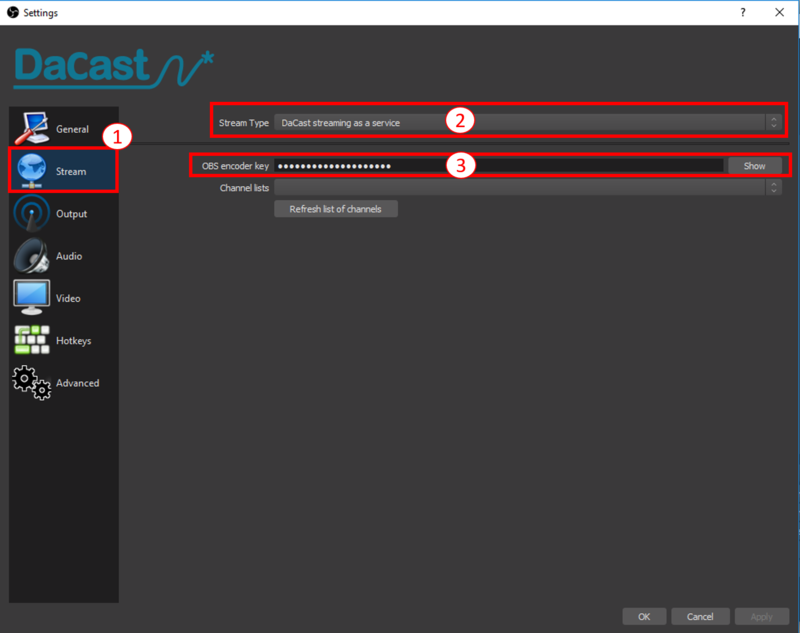 The new beta version of DaCast OBS Studio is available for free download in your DaCast account. 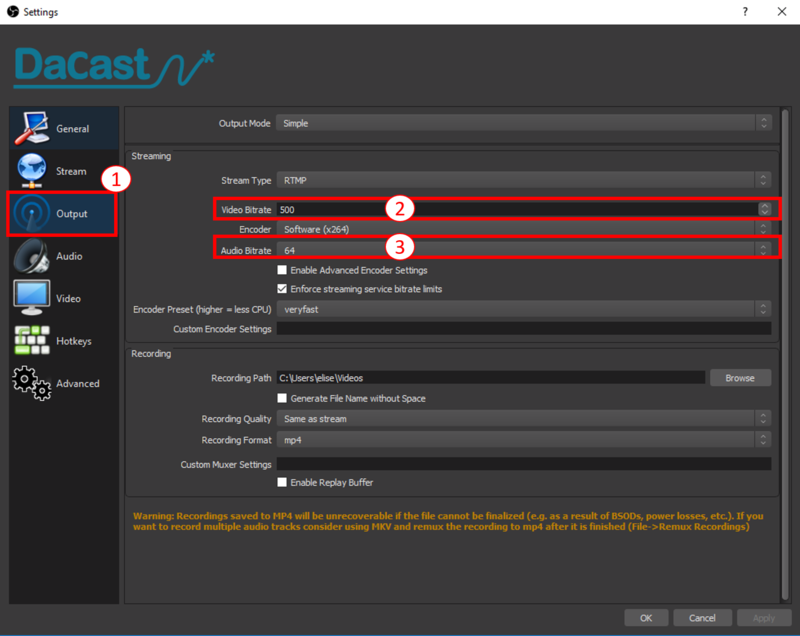 This tutorial will show you how to live stream video using the latest beta version of DaCast OBS Studio and our RTMP stream ingest. 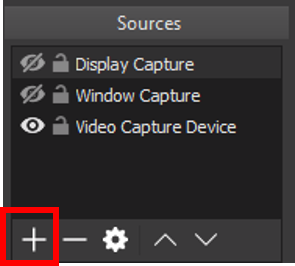 If you are using the original version of OBS Studio (not the DaCast branded one), follow this link for a more accurate tutorial. You may see a warning sign telling you the source of the program couldn’t be verified. No worries, this program is secure. Just click on “more info” and then on “run anyway “. 5.2 In Stream Type, you should see “DaCast streaming as a service” by default; if not, please select it. 5.3 Now let’s get your DaCast OBS encoder key. Note on your encoder key: if you want to regenerate it to make sure no one else is streaming on your channel, you can do so in your DaCast account and then copy paste the new encoder key. 6/ You should now see your list of live channels when clicking on the drop down menu, if not, click again on “Refresh channels list”. Select a channel and click OK.
7/ By default, you will be using RTMP ingest and the low definition output streaming settings. If you want to run a quick test you can click on START STREAMING to see if it works. 8/ To modify the output streaming settings of your live stream, go back in SETTINGS (same as step 3). For a standard definition, aim for 1000-1200, for HD you will go up to 1900-2000 and for full HD (1080p) you will need to go up to 4500. Make sure your internet speed connection is double the video bitrate you set up, otherwise you will have buffering issues. 10/ If you have the technical knowledge, you can always select the ADVANCED Output Mode to play with more settings but we recommend that you stay in SIMPLE output mode. If you decide to use the ADVANCED Output Mode please make sure to keep the keyframe interval at 2s . If you’re using your own DNS povider via DHCP, you may have a connection issue, preventing you to launch your live stream. In that case, we recommend that you update the system to use a public DNS server, such as google’s DNS 8.8.8.8 and it should solve your problem. For Mac, please click here.